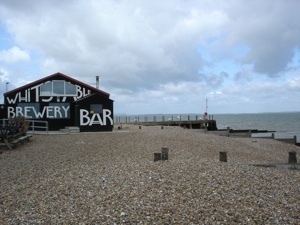 Whitstable, situated in the Southeast of England at the southern edge of the Thames estuary, is a perfect flat water and bump & jump spot not far away from London. 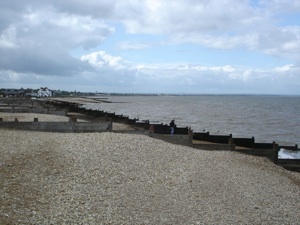 It is famous for a shallow shingle/clay strip (“the Street”) extending about half a mile into the water just east to Whitstable harbor, which is visible only at low tide. This creates perfect flat water conditions in westerly winds. Make sure to avoid it in mid to low tide otherwise you may touch ground. 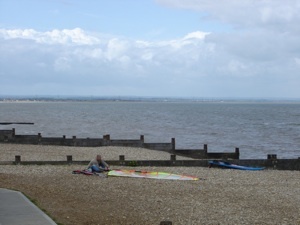 There are several spots to enter the water: on the western side of the harbor at the car park at the north of the street “island wall” or a bit further to the Northeast at the Whitstable Yacht Club (windsurfing and sailing school Wild Times, junction Sea Wall/Sea Street), but most windsurfers use the beach just east of the harbor next to the surf shop Whitstable Windsurfing (Beach Walk, near Tankerton Rd. / Slopes). 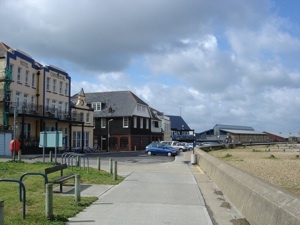 Parking space is limited directly at the shore line, so make sure to check out the situation early enough on your way to the spot (or try it at Tankerton Slopes). For refreshments, there is a small cafe and some bars next to the spot. 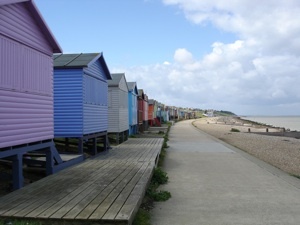 As the beach faces North it works best with (south)westerly or north (to south) easterly winds. 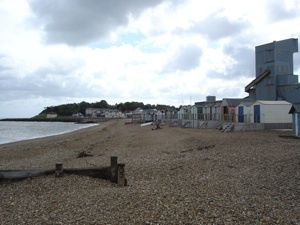 The beach descends smoothly and is quite shallow (first shingle, then sand/mud), although at high tide it is a bit steeper. 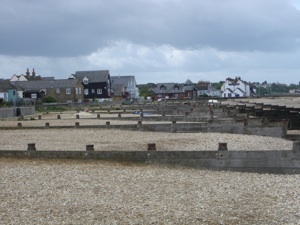 Make sure to stay away from (or remember the position of) the groynes. 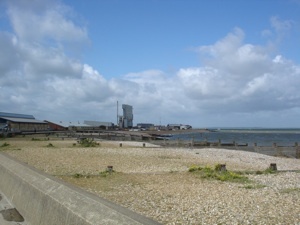 Tides can create also strong currents as the beach lies within the Thames estuary..
Water is usually flat or choppy at low to mid tide, at high tide it can get a bit messy, but no shore dump like at Hove/Brighton. From London follow M25 to the south, exit junction 2 to A2/M2 to Dover & Canterbury and exit at junction 7 to A299 to Margate. 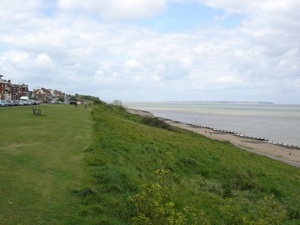 About 6-7miles further, exit to Whitstable and follow the direction to the harbor and look for the following streets: “sea wall/island wall” (western spot) or “beach walk/tankerton rd” (eastern spot). 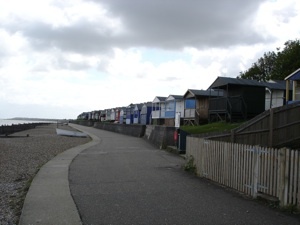 Area next to the eastern spot and beach huts at Tankerton Slopes.